Peachtree Publishing Company, 9781561453252, 197pp. An eloquent, dramatic story of an adolescent girl's first glimpse into the problems of prejudice in her community and the redeeming power of friendships. For thirteen-year-old Kate, being poor in a small rural Florida town means feeling ashamed and isolated. At school, her classmates laugh at her old clothes, and things are not much better at home. Kate's mother is working long hours just to keep food on the table, and Kate has to keep an eye on her brothers. 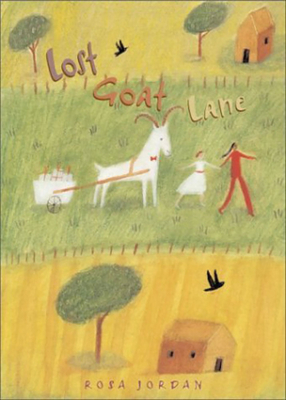 But one day, the family's goat gets loose and wanders down the road. That's when Kate meets the Wilsons, a tight knit, middle-class African-American family. Kate is particularly drawn to Ruby, the glamorous grown daughter who has returned home from New York City. As Kate begins to spend time with Ruby in town, she becomes aware of the undercurrent of discrimination and prejudice that runs through her community and the complex roles of race and class in her own relationships. Rosa Jordan offers readers a gripping, empathetic tale of how two families come together despite small town prejudices and cultural differences. In doing so, she provides a window into the larger problems in America, where class and race often divide people.